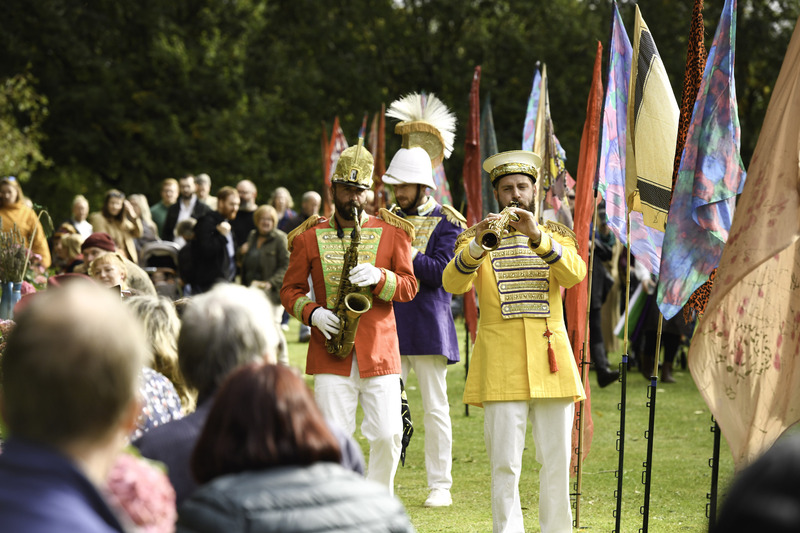 Over 45,000 visited last year’s event and thousands are again expected to visit the event on Saturday 22 and Sunday 23 September at Kirkleatham, which follows the event’s first ever launch parade in Redcar on Friday evening. 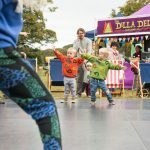 Stretching across ten zones and featuring a huge variety of live performances, entertainment and activities the 2018 Festival offer a huge array of activities for everyone to enjoy and take part in. With a focus on sustainable transport, artists will entertain visitors with performances including Acrojou with Wheelhouse – set entirely inside a giant wheel, a musical adventure with Bicycle Boy, where the audience pedals to keep the show going, and a joyful outdoor performance celebrating women, cycling and fashion from Bicycle Ballet. In a partnership with Sustrans, a new cycle hub has also been established where you can fix your bike, get it marked and have your say about transport planning. There will be lots of live music across the site including afro-beats, indie and psyche, folk-rock, jazz and soul and young home-grown musicians performing from Tuned In! to name but a few. Film fans are also in for a treat with the chance to see the thrifty one take reshoot of the Atonement Redcar beach scene, featuring local actor-volunteers and a unicorn, and to buy tickets for Picnic Cinema’s open-air showing of Moulin Rouge after the Festival closes on Saturday. CBBC returns to the Festival with its Teepees showing CBBC and CBeebies sustainable themed favourites and showcasing the latest VR content for older audiences to step inside the TARDIS from BBC One’s Doctor Who. Visitors of all ages can get back to basics by building a go-cart using reclaimed materials and then seeing how fast it will go in time trials on Plantation Road and those who are nautically-minded can design and build mini boats with materials foraged from the Tees Valley. Festival-goers are encouraged to bring along electronic junk to be demolished and up-cycled into noisy instruments, fruit and vegetables to donate for jam and chutney making, plastic bottles to make ecobricks, broken things to be mended at the Fix-it Café and any unwanted things they want to swap. Workshops throughout the weekend offer the opportunity to pick up a variety of quirky skills on a pre-booked or drop-in basis – including blacksmithing, Swedish birch bark weaving and garland-making and cooking with fire and smoke – and the Festival talks and debates seek to provoke discussion on a range of topical issues such as single-use plastic, sustainable travel and being an ethical consumer. University of Teesside will host its first Festival Expo at the event. From the world’s first student project to put a rocket into space, to ground-breaking animation to upcycling waste materials, visitors can come and see how the University and MIMA (Middlesbrough Institute of Modern Art) are working together to use innovation to deliver creative projects which will help shape the future of society. A whole array of independent traders and food providers are featured across the site with something for every budget and taste and a Harvest Festival service will celebrate the annual harvest at 10.30 on Sunday at St Cuthbert’s Church. With a number of food courts located around the site, food lovers can tuck into everything from vegan and vegetarian fare to the Whole Hog – a challenge being set for caring and carnivorous Thrifty clientele to eat an organic pig at the Festival so that nothing goes to waste. 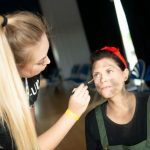 Festival of Thrift Director Stella Hall said: “This year offers another amazing Festival of Thrift programme and we are proud to work with local and national artists and makers, community foundations, educational establishments and businesses to have created it together. 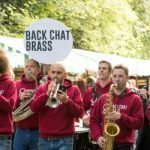 “We’ve worked hard to make it different again for visitors and to have extended our programme this year to include being involved in the national PROCESSIONS celebration of the hundredth anniversary year of women’s suffrage and to have brought artists to the Tees Valley in Viewpoints to provoke discussions about sustainability. “This year also sees our first-ever launch parade for the Festival which invites people to ‘Be Thrifty, Be Happy’ for a fun and entertaining spectacle that will enhance the feel-good atmosphere of Thrift. 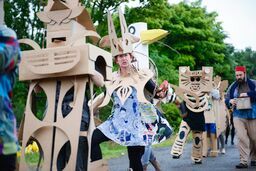 The launch parade for the Festival of Thrift takes place at 6.30pm on Friday 21 September at Coatham Road (from Community Heart), turning left on to Station Road then left on to the sea front and will end at the Bandstand. 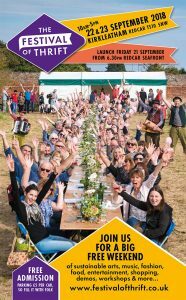 The Festival of Thrift takes place on Saturday 22 and Sunday 23 September 2018 from 10am to 5pm at Kirkleatham Estate near Redcar.